When we immigrated to Canada after the Second World War, we settled in Montreal, more accurately in the City of Westmount, a town within a town, an enclave of Anglo-Saxon rectitude and predictability, a place where almost no-one spoke French in spite of the area being a part of Montreal, the second largest French-speaking city in the world after Paris. Yes, Westmount (meaning ‘west of the mountain’, I guess) was, and still is, dull – monochromatic. 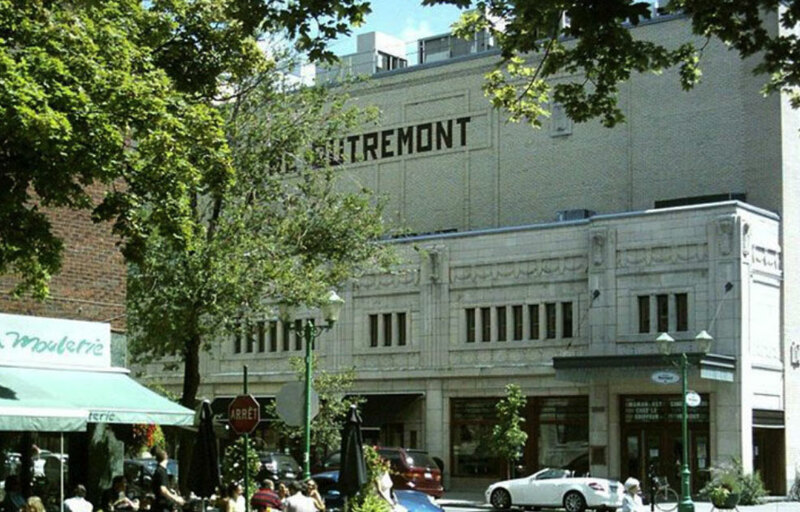 Not so Outremont (meaning ‘the other side of the mountain’ in French), where I now live on Van Horne Avenue, named after a US-born railway baron with a Dutch name, kitty-corner from an arguably world-class Syrian restaurant that moved to its present location after its previous premises were fire-bombed by the competition. Across the street from the Syrian is Soup-Soup, a popular Hamburger joint next to a BYOB (Bring Your Own Bottle) that serves exquisite, classical French haute-cuisine fare. Between me and the nearest Metro station, four corners to the west, there are three pastry shops, one of which makes the world’s best croissants (pure butter), a Paris-style Bistro and a Vietnamese noodle place. Hassidic Jews in their traditional headgear, (shtreimels) made of expensive brown or black fur, hurry toward their synagogue on Fridays – their wives, wearing colourful, turban-like head-covers, watch from their balconies as they rush by. The building in which I live houses a deluxe bicycle shop at street level frequented by well-to-do citizens with a penchant for spending thousands of dollars for the privilege of riding along our city’s intricate bike paths in crutch-challenging discomfort. My top floor apartment has a roof garden from where I can watch the weekly show provided by participants in the international fireworks competition, held every summer at Montreal’s Old Port, seven miles from me as the crow flies. A four block walk eastward, buses barrel down Park Avenue past the Fruiterie Mile-end with its display of red, yellow, green, and brown produce laid out prominently opposite the Rialto Theatre, a 1920’s Art Deco building, beautifully illuminated by night. Further on, they roll by the fishmonger near the unique St Viateur bagel factory, and the Mordechai Richler Library, a refuge from rain and cold to those who wish to reminisce about the author of St. Urbain Street Horsemen and The Apprenticeship of Duddy Kravitz. The buses connect with the downtown Metro station at Place des Arts and the Quartier des Spectacles – impressive structures devoted entirely to entertainment. Two blocks south of my building, a dozen or so restaurants vie for customers along Rue Bernard near the Theatre Outremont – another Art Deco creation. An internationally famous ice-cream parlour refreshes the palates of the throng of after-dinner passers-by with to-die-for cherry, salmon and violet-coloured crème glacée and sorbet near where Bernard street turns into a broad boulevard. And, finally, pour combler mon bonheur, (to complete my bliss), around the corner from where I live there is a small park with a pond in its middle where you can skate in the winter on glittering ice and feed the ducks in the summer and where, at the sparkling white gazebo, the week-end summer nights are filled with the strains of Astor Piazzolla’s Libertango to the delight of twirling couples whose sensuous movements reflect tantalizingly in the shimmering water.